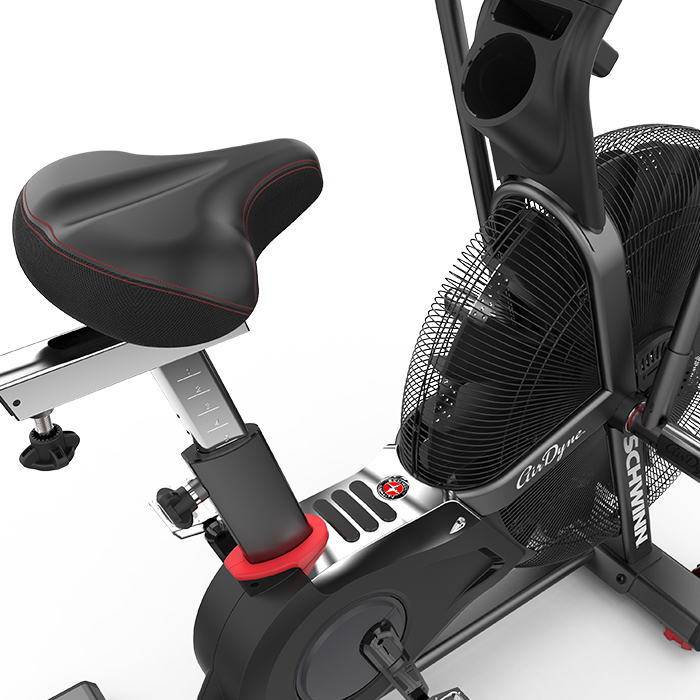 The Schwinn® Airdyne® AD7 Bike combines the latest in air resistance technology with unmatched durability and performance, allowing you to reach your full potential in the comfort of your own home. Whether you use it to bring your HIIT workouts to a new level or require the perfect total body cardio workout, the AD7 delivers versatile and challenging workouts. Offer only valid within the 48 contiguous states of the continental U.S. Free shipping applies only to the Schwinn® Airdyne® AD7. Offer not available with any other offer and is subject to availability and may change at any time. Shipping discount applies to Standard Shipping option only. Offer is valid once to a customer and excludes previously placed orders. Offer is not valid at retail stores or outlets. We regret we can not ship to P.O. Box or international destinations. Offer valid for a limited time only. Offer only valid within the 48 contiguous states of the continental U.S. $99 shipping applies only to the Schwinn® Airdyne® AD6. Offer not available with any other offer and is subject to availability and may change at any time. Shipping discount applies to Standard Shipping option only. Offer is valid once to a customer and excludes previously placed orders. Offer is not valid at retail stores or outlets. We regret we can not ship to P.O. Box or international destinations. Offer valid for a limited time only. Offer only valid within the 48 contiguous states of the continental U.S. $99 shipping applies only to the Schwinn® Airdyne® AD2. Offer not available with any other offer and is subject to availability and may change at any time. Shipping discount applies to Standard Shipping option only. Offer is valid once to a customer and excludes previously placed orders. Offer is not valid at retail stores or outlets. We regret we can not ship to P.O. Box or international destinations. Offer valid for a limited time only.